On any given winter night, you’ll find the Lenz family cozied up in their great room, circling around the fireplace to play checkers, piece together puzzles and tell stories. It’s the perfect picture of what a cold, snowy night should look like in the Northwoods, and Kristin Lenz is grateful to spend these evenings with her husband, Brian, and their five children nestled in their Minocqua log cabin. She also shares her experiences and vintage décor finds on her popular blog, White Arrows Home. Resting along the shore of Fence Lake, the Lenz family purchased the cabin in 2013, intending to use it as a vacation home. 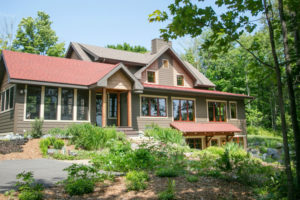 And although they loved their house in Fond du Lac, the family could no longer ignore the call of the lake and the woods, and eventually decided to make it their full-time home. Lenz and her family are continually amazed and humbled by the natural beauty that encircles their cabin. A friendly fox ambles along the road that leads to their home, while eagles nest nearby. Porcupines are found sitting on the front porch, and black bears are never far. “I love being this close to nature. I honestly can’t imagine not living surrounded by the forest anymore,” Lenz says. The home was originally built in 2002, rendered in sturdy Montana pine logs and designed by Rocky Mountain Log Homes, a Montana design firm. The stunning property includes 300 feet of shoreline, dotted with neighboring white pine, birch and maple trees. When Lenz first walked into the home, she was spellbound. “I still have that feeling every time I walk in the house, just in awe of the view. In the winter, it’s like being inside of a snow globe,” says Lenz. Since then, the cabin has become the centerpiece of the Lenz family’s warm and fuzzy moments. Every morning, a red radio is switched on in the kitchen and the sounds of country and polka fill the house. The family loves to savor big breakfasts together— pancakes, eggs, bacon, coffee cake. And at night, the kids are reluctant to go to bed, begging their dad to tell “just one more story,” all while a pine scented candle burns in the background. 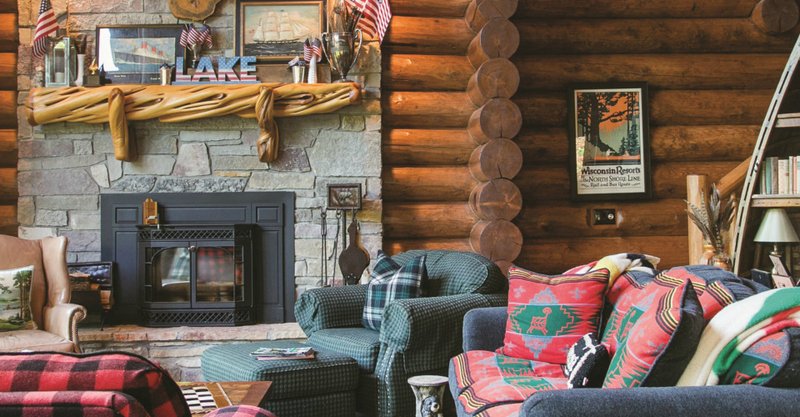 Lenz adds, “Plaid has always been my favorite color,” and it’s prevalent throughout the cabin. The red buffalo check furniture takes center stage in the great room, pairing with Lenz’s collections of plaid thermoses, picnic baskets and coolers. She’ll often venture outside to bring in decorative items—pine cones, birch branches—and she asks the kids to gather up natural treasures during their walks, too. Their finds are then proudly displayed in bowls and vases throughout the home. Lenz’s penchant for thrill-of-the-hunt activities is also witnessed through her vintage shopping excursions. It all started in high school, when she began collecting furniture pieces, like the ornate armoire that currently resides in the dining room. She lists the items that she’s continually “questing after,” such as her beloved picnic baskets, plaid camp blankets “to have out by the fire,” anything with Paul Bunyan and Smokey the Bear and things that are related to Wisconsin. Voyaging far and wide to track down her antique finds (she loves to travel to vintage markets, like the Duluth Junk Hunt), she says that some of her favorite pieces were found very nearly in her own backyard. She says that she has a “circle” that she does at least every other week to see what’s new at her top vintage shops, like Ages Past Antiques, First Impressions and Gaslight Antiques, all located in Minocqua. 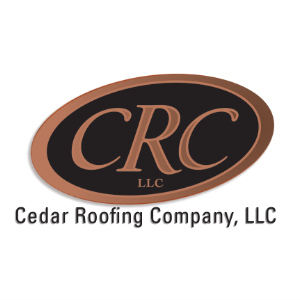 “I like to see what’s new and what catches my eye. I always say that antiques and vintage pieces find me. I walk in, and I get that feeling of excitement. It must be what fishermen feel before they make a catch,” Lenz says. Although she displays many of her vintage items year-round, Lenz says that she changes out some of her décor with the seasons and “layers in” seasonally-appropriate objects. She especially delights in decorating her home for winter, aiming to make things look and feel snug and cozy. Lenz’s love for her home only grows in the winter, when the cabin becomes even more warm and welcoming. This home was featured in the Northwoods: Fall 2018 issue. For more photos of featured Northwoods homes, visit the Northwoods gallery.